let’s get you out of your comfort zone this 2019.
end up regretting it. BIG TIME. you’re already setting yourself up for disappointment and regret. and use them as a foundation for setting your theme -- and more intentional goals -- for the New Year. 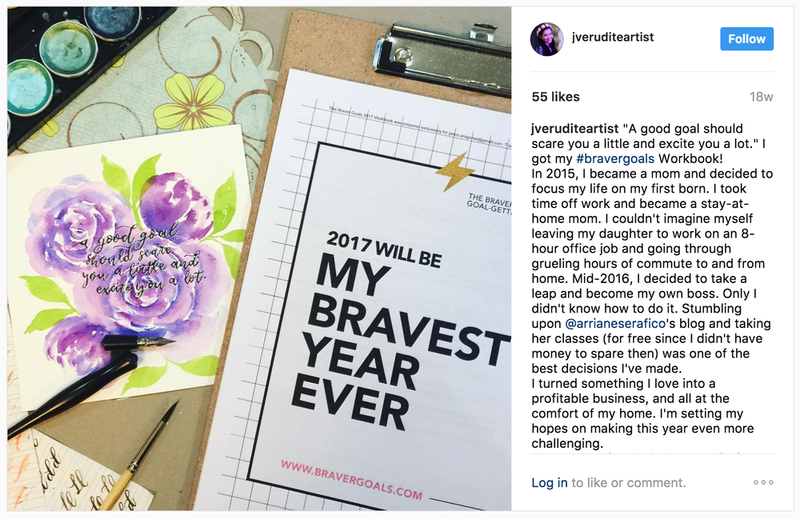 and yes, you might have that first burst of motivation in January -- but more often than not, you’ll find yourself quickly losing steam and having Resolution Amnesia by the time February rolls around. ...IF you even make it to February. 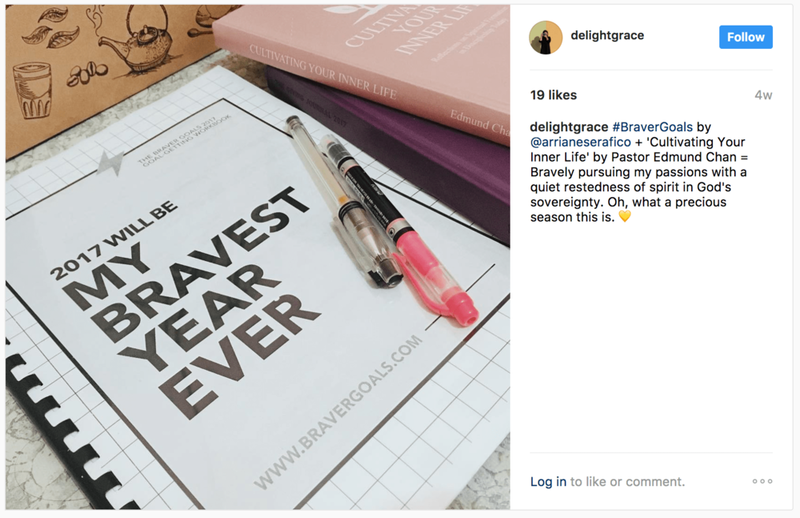 to help you reflect on 2018, and set your bigger purpose & theme for the New Year. Goals that truthfully declare what YOU really want from your life, not just what’s expected of you. Goals that are aligned with your Why. Goals that come with an action plan and a calendar. Well-deserved Me Time: This is a workbook that's answerable in 3-5 focused hours. Downloadable: It's a downloadable PDF file. Can be answered digitally via iBooks, or printed out. Find Your Focus: By the end of the workbook, you’ll be able to clearly articulate your long-term goals and priorities, and align yourself with your North Star. YOU CAN USE IT FOREVER: You can use and reuse for this year, and for all the years to come. 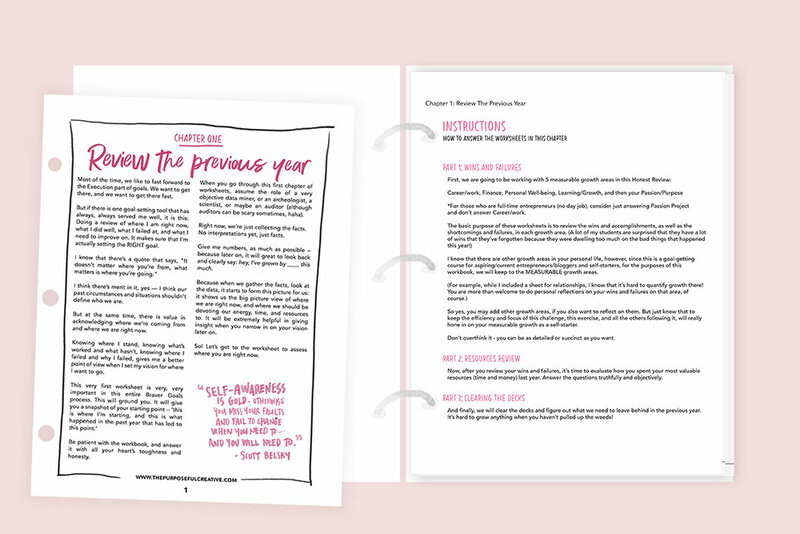 Downloadable workbook (80+ pages); can be used year after year after year! You CAN set your North Star, calibrate your compass towards it, so that you can have a guide for your actions and decisions: making you more focused, more motivated, more productive, more intentional – about every month, every week, every day of the year. But setting your North Star requires a more structured, deeper dive into the process – not just making a long and unfocused laundry list of everything you want to do for the year. not just what’s “expected” of you. How much time do I need to devote to this? If you sit down and binge-learn this, Netflix-style — you can finish in about 3-5 hours (complete with snack breaks). For 1 whole year! Unlike an in-person workshop, where in you just attend for 1 workshop, and then bye, you go home -- in an online workshop, you get access to the course content for one whole year. That means you can re-watch, re-read, re-take any of the missions any time you want. Why is access just for one year? Based on our experience & feedback from MANY batches, we’ve learned that putting a finite timeline on access promotes TAKING ACTION instead of just knowledge hoarding. Student feedback has been that they feel more lax and complacent if they know it’s going to be there forever; and feel more motivated by urgency to act when they know they have a deadline. Will I get personalized coaching or feedback? Just to make it clear, this program isn’t a one-on-one coaching program - so there won’t be individual feedback. If you’re REALLY interested in an even deeper 1-on-1 goal coaching program where I will work on your goal strategy WITH you (with weekly coaching sessions) — we do offer this at a more premium price, but only for alumni students (students who have already finished the Braver Goals course). We send regular emails to open a few 1-on-1 spots per quarter. Yes, the content is the same, just spruced up with a new design and updated with a few tweaks! Feel free to email us if your 1 year access has expired and you want to take it again. 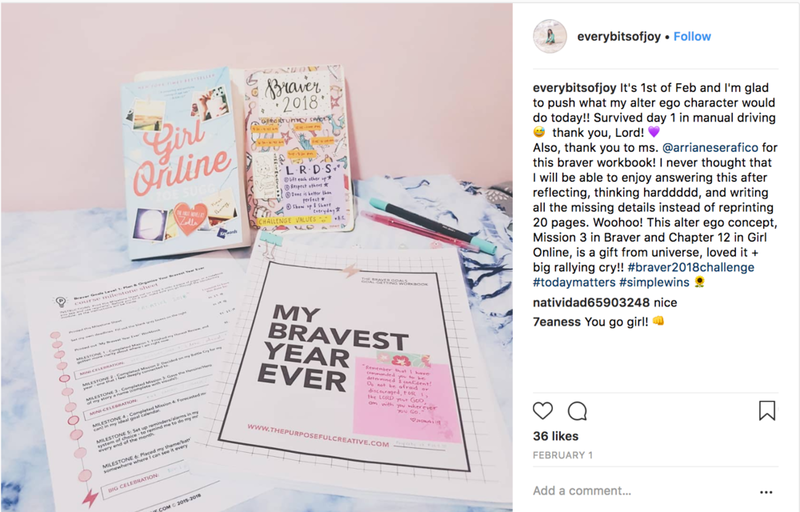 I already enrolled in Braver Goals in the past years (2016-2018), is this different? You purchased the “Workbook Only” plan. The 7-day guarantee only applies if you purchase the workbook + course option. We run our school a little differently: we value delivering RESULTS over all else. If you're a joy-enroller (just enroll in courses & then don't go through them, then demand for a refund) — this is NOT the school for you. We honor refunds based on a code of teacher-student honor. Our genuine mission is to give you a program of VALUE, one that will deliver results, IF you actually do the activities. It’s just like working out, or skincare — you can’t buy a gym membership or a skincare product, and expect results WITHOUT actually using it consistently, right? And so, our refund policy revolves around action and completion. We’ve worked hard on putting this learning experience together — and so we also expect you to do the work and give it your best shot. That’s why in order to be eligible for our 7-Day Satisfaction Guarantee, you must submit proof that you did the coursework. Submit your COMPLETED workbook to team@thepurposefulcreative.com. Failure to submit this, or submitting the requirements after the 7-day grace period will invalidate your refund request. If you’re able to submit this within that 7-day grace period (counting after your date of purchase), we’ll promptly refund your course fee. Again, to be crystal clear, if you do not include your completed workbook requirements within the 7 day period, no refund will be issued. GOT QUESTIONS WE HAVEN’T ANSWERED HERE? Write to our team at team@thepurposefulcreative.com and we’ll be happy to help. My business hours are M-F 9am to 5pm PHL time, and I strive to respond within 24 business hours.